A Marine with a small task force of advisers in Helmand, Afghanistan, was awarded the Purple Heart on Sept. 9 after being shot in the head during an operation in Sangin, according to Lt. Kathleen Kochert, a spokeswoman with Task Force Southwest. The awarding of the Purple Heart is the first for Task Force Southwest, which is currently in its second iteration to the volatile province since the Corps left the region in 2014. The Marine was shot in the head in August while conducting an advisory mission with 2nd Brigade of the Afghan National Army’s 215th Corps at Forward Operating Base Nolay in Sangin. The New York Times had reported that the bullet “glanced off” the Marine’s helmet. The injured Marine quickly returned to full duty with Task Force Southwest following his injury. The Purple Heart awarded in September is a reminder that while American forces are largely relegated to training and advising forces in Afghanistan the mission remains inherently dangerous. Marines with the second rotation of Task Force Southwest are also operating closer to the front lines of combat after being authorized to embed at the brigade level. The previous rotation generally advised at the corps level. 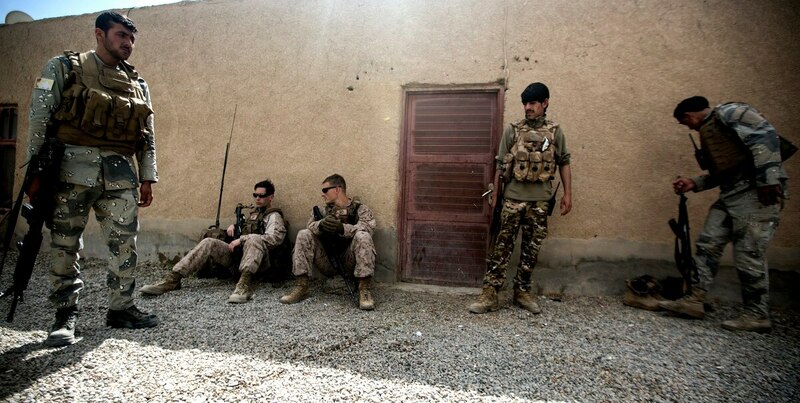 After turning over the sprawling dual British and American base known as Camp Leatherneck and Camp Bastion to Afghan forces in 2014, the Corps returned to Helmand with a small 300 Marine adviser task force to help rebuild a fledgling 215th Afghan Army Corps. When Marines returned to the embattled province in 2017, the provincial capital Lashkar Gah was on the verge of collapse, with much of the province having been overrun by Taliban militants. While progress in the region has been tepid, Task Force Southwest has increased the security belt around the beleaguered capital. Still, the majority of Helmand is under Taliban control, according to a government watchdog report. Marines in the region are heavily focused on training Afghan forces but also have been instrumental in providing much needed relief to Afghan forces in the form of U.S. air support and strikes by precision guided artillery rocket systems known as HIMARS.